Public lawyers across the country are anxiously scrutinising yesterday’s response by the Lord Chancellor, Chris Grayling, to the Judicial Review consultation and the associated Criminal Justice and Courts Bill. They are seeking to ascertain the extent to which access to judicial review will be restricted and, in the case of many firms with legal aid contracts in public law, to see if whether their business will remain financially viable at all. In a Guardian article today, Joshua Rozenberg has already portrayed the response as climb-down at least on many important issues. Whilst it is true that Government has moderated its position on several significant points in a welcome sign that the consultation did serve some purpose, the reforms being brought forward include some drastic changes with constitutional and access to justice implications. The baton now passes to Parliament to stand up for the rule of law and for judicial review. We set out below where we consider the Parliamentary focus should be. The overall message from Grayling remains depressing. There are many ways that judicial review can be improved, streamlined, made more effective, including for example by incentivising Defendants not resist permission in arguable cases, take bad points, string-out litigation until it becomes academic. But the Government is not concerned with any of this. All the proposals are directed at strangling claims and hobbling claimants. The rhetoric is familiar. Judicial review has “extended far beyond its original concept”. Cases are “pursued as a campaigning tool” and are a “brake on growth”. Judicial review funders “sometimes remain hidden in the background”. Such comments portray Grayling as something of a conspiracy theorist, as an apparent believer that judicial review is being manipulated by shadowy forces to stymie Government policies. Grayling warns readers that “some of these measures may not be popular with those who benefit from the status quo”. Since the population in general benefits form the current system of judicial review there are indeed a lot of people who should find the changes unpalatable. The threatened abolition of public interest standing has been abandoned. But this is not because the Government has been persuaded of the merits of a flexible standing regime. “Rather, the Government’s view is that the better way to deliver its policy aim is through a strong package of financial reforms to limit the pursuit of weak claims and by reforming the way the court deals with judicial reviews based on procedural defects” (para. 35). In other words, the Government has recognised that there are very few cases where public interest standing is invoked and more effective way to curtail judicial review is to tie the purse strings. Clause 50 of the Bill provides that the court or Upper Tribunal must refuse relief if the it “appears to the court highly likely that the outcome for the applicant would not have been substantially different if the conduct complained of had not occurred”. The concept of “highly likely” is a novel one and lowers the bar from the test of inevitability that is currently applied at common law as a basis for refusing a remedy. The constitutional implications are significant. If a decision maker refuses to give any reasons, gets the law completely wrong, acts unfairly, partially or even dishonestly, no remedy could be granted by the court even if the same decision might not have been reached had the defect not been made. This is a departure from constitutional orthodoxy that the principal purpose of judicial review is to ensure that decisions are made properly by the person Parliament has designated to make the decision (not the courts). It will draw judges in to speculating on what decision would have been made had a defect not been present and thus the importance and weight of the defect to the decision (issues that courts have historically sought to avoid). Even if the judge is not persuaded that it is “highly likely” that the same decision would be made, it may be difficult for a Defendant to give a fresh decision open-minded consideration and there will be further litigation about prejudgment. An associated problem with the draft bill is that the courts would be precluded from granting any relief, thus preventing them from making a declaration that there has been a procedural violation but refusing to quash a decision or award substantive relief (which is often done for example in the context of challenges on the basis of the public sector equality duty). Perhaps the most concerning aspect of the draft Bill on this issue is however clause 50(2) which would impose a requirement that the issue be considered at the permission stage. The intention appears to be to provide defendants with a get-out-jail free card to play at the permission stage, allowing them to submit evidence that the defect did not make any difference to the decision. As the Judiciary noted in their consultation response, it will lead to lengthy, dress-rehearsal permission hearings with the service of evidence. It is clear that the concern is not to make judicial review more effective or more streamlined, but a means of making it more difficult to pursue. A more effective way of dealing with “no difference” cases is for the Government to admit any error then agree to retake the decision. Instead, the Government will be incentivised to defend such claims. Courts will become embroiled in lengthy evidential disputes about a new defence of ‘makes no difference’. Claimants will be under a duty to provide the Court with information about their financial resources and sources of funding for the purpose of being taken into account when determining whom and to what extent costs should be ordered (clauses 51 and 52). The Government perceives that many judicial review claims are funded by third parties who are “in practice driving litigation”. The detail will be in regulations but the powers set out in the Bill, whilst they may deter some commercial judicial reviews where backers prefer anonymity, are reasonable. It is unclear whether a private litigant will have to fill in a legal aid style means form (they shouldn’t have to, and it might raise Article 8 issues). It is equally unclear whether the information will be handled confidentially (it should be, and the regulations could be defective if they do not protect personal privacy). There will also be codification of the law relating to Protective Costs Orders (“PCOs”) (clause 54). For the most part, the existing law has simply been restated. It is welcome that PCOs have been endorsed and will not be abolished. It is also welcome that the private interest requirement (originally set out in Corner House but since repeatedly disapproved in the case law) is nowhere to be found. The purpose of the codification seems to be to ensure that Claimants make full disclosure of their sources of funding and to ensure that PCO’s are only granted in cases raising points of general public interest. But this disclosure requirement is already the law: the duty of candour in judicial review works both ways. A Claimant applying for a protective costs order has always had to make frank disclosure of its actual and potential sources of funding and the costs it expects to incur. See R (Badger Trust) v Welsh Ministers  6 Costs LR 896 at  and Garner v Elmbridge BC  PTSR 250 at [51-53]. There is however a serious problem with the PCO codification. As the Bill stands, a PCO could only be made if permission has been granted (clause 54(3)). But Defendants and interested parties not infrequently run up massive pre-permission bills, especially where the Defendant is a regulator or private body acting in a public capacity, or there is a private interested party. We have seen cases where such cases pre-permission costs have comfortably exceeded £30,000. The risk of unknown and potentially substantial pre-permission costs is a risk that those who would otherwise qualify for costs protection cannot possibly take. If a PCO cannot be obtained to protect against such a costs risk, very many claims with substantial wider public interest will not be brought. A PCO that cannot be obtained until it is too late to prevent the chilling effect of uncertain and unlimited costs exposure is pointless: it does not achieve the aim of enabling access to justice for those who cannot expose themselves to substantial costs risk. Here again we see that what the Government appears to give with one hand (endorsing PCOs) it takes back with the other through hidden financial disincentives that will in practice undermine PCOs and negate the attainment of the purpose they are intended to serve. There is also a Henry VIII provision tucked away at clause 54(9) giving the Lord Chancellor power by regulations to add, omit or amend matters “to which the court must have regard when determining whether proceedings are public interest proceedings”. It is not obvious why the Lord Chancellor, rather than the Courts, should have the final say on the principles governing costs orders affecting access to justice and this could also be used as another means of effectively squeezing-out meritorious public interest claims. Parliament needs to address both of these provisions and ensure PCOs provide a practical and effective access to justice tool. NGOs big and small regularly provide beneficial interventions in judicial review proceedings usually attracting leading solicitors and barristers acting on a pro bono basis (eg Amnesty, Bail for Immigration Detainees, Mind, Liberty, PLP, UNHCR, JCWI, etc ) And the Secretary of State often intervenes, sometimes because the case is important (e.g. R (E) v JFS  EWCA Civ 681 – subsequently appealed to the Supreme Court) and often because the compatibility of primary legislation with the ECHR is in issue (e.g. R (Roberts) v Commissioner of the Metropolitan Police  EWCA Civ 69). There are many cases in which courts have expressed gratitude to the assistance provided by an intervening party. See e.g. “the extremely helpful intervention” of UNHCR in the recent judgment of the Supreme Court of IA  UKSC 6. Often interventions support the position of the Defendant. Recent examples include Ladele v London Borough of Islington  EWCA Civ 1357, where the Court of Appeal accepted submissions made by Liberty going further than the Defendant contended and several of the intervening parties in the Jewish Free School case: R (E) v JFS  EWCA Civ 681. (3) Orders for costs will not normally be made either in favour of or against interveners but such orders may be made if the Court considers it just to do so (in particular if an intervener has in substance acted as the sole or principal appellant or respondent). By requiring interveners to pay not just their own costs but the Government’s (and other parties’) costs too, it is very unlikely that, if clause 53(4) is enacted, the High Court or Court of Appeal will in future receive assistance from NGO interveners, to the detriment of the courts and law. Intervening parties will not intervene if there is a significant risk of an adverse costs award – they most often can’t pay for their own legal team who, as noted above, frequently act pro bono. Many will only intervene if the Court grants them costs protection in advance, which it would be prohibited from doing if the Bill is passed in its present form. This is in effect a disguised prohibition on NGO intervention, achieved again through the indirect route of financial disincentives. It is hoped that Parliament will ensure that the power of courts to award costs rests where it properly belongs: in the discretion of the court. The proposal that causes a number of public law legal aid firms to fear (rightly) for their continued viability was the proposal that if permission is not granted or if a case settles pre-permission, the legal aid agency should be required not to pay the solicitors and barristers who brought the case. The Government has softened on this proposal a little and has said that where cases settle the legal aid agency will have a discretion to pay in meritorious cases. Apart from anything else, without such a provision there would be no incentive for publicly funded litigants to settle cases pre-permission. The costs of permission application should not be recoverable if the judge certifies that the application is totally without merit, costs of the application be funded in the usual way. The most extreme position the Judiciary was prepared to countenance involved a “safeguard” by which the judge could direct that practitioners not have their funding slashed if a claim has been properly arguable. Even this bottom-line position has not materialised. Many consultation responses pointed out to the Government that the effect of this provision was likely to be make permission judges more reluctant to refuse permission in legally aided cases that raise serious points. One would think, given the Government’s stated objectives, that the Government would not want to provide such a disincentive to refusing permission. It can only be inferred that the Government is attracted by a wider objective of hitting legal aid solicitors where it hurts. As things stand, a claimant is entitled to renew an application for permission orally at a short hearing. A defendant does not have to turn up. But if they do turn up, on Mount Cook principles, generally will not recover their costs. The Government will change this to entitle a successful defendant to costs. It marks a further shift from permission as a low-cost filter to a high-stakes mini-trial. This has troubling implications when combined with a statutory prohibition on a PCO before permission has been granted because the costs of the permission stage become even more prohibitive. This is all particularly unjustifiable since the Government has not heeded calls by many who responded to the consultation that if the Defendant chooses to contest permission but permission is granted the Defendant should pay costs (there is no costs consequence unless the Claimant goes on to succeed at the substantive hearing). This means that defendants get a free ride and have no reason not to contest permission, with all of the delay and expense that is involved. A more balanced package of reforms would recognise that there is also a problem with some Defendants taking an unrealistic approach and contesting permission, which they do in almost every case, however meritorious. An incentive to encourage permission to be conceded in appropriate cases would go some way to solving that problem. But as we have pointed out already, many of these reforms are not about making judicial review more efficient or effective. Clause 32 to 35 of the Bill will make leapfrog appeals to the Supreme Court easier, although will still require the consent of the Supreme Court. For the first time, there will be leapfrogs from SIAC, the EAT and the Upper Tribunal. This, at least, is sensible and welcome. Our discussion has sought to highlight some of the most significant aspects of the Government’s reform proposals without seeking to cover all of them. There are also important changes in the context of planning, for instance, which we have not addressed. There is no doubt that judicial review procedure can be improved, incentives can be rebalanced, and more can be done to ensure that strong cases of government abuse of power proceed whilst weak cases do not. But the Government’s reform proposals are not properly directed at these questions and are instead directed at seeking to restrict access to judicial review and to load the dice in the favour of defendants. Attention now turns to Parliament. It hoped that Parliament will recognise that central to what the courts do in judicial review cases is enforcing its legislation and its will. If it appreciates that then it may be very concerned about a number of the Government’s proposals. 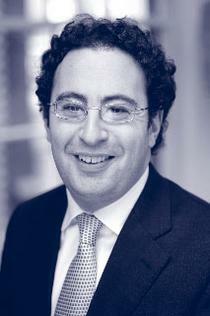 Ben Jaffey is a Barrister at Blackstone Chambers. Tom Hickman is a Barrister at Blackstone Chambers and Reader in Public Law UCL. Suggested Citation: B. Jaffey and T. Hickman, ‘Loading the Dice in Judicial Review: The Crime and Courts Bill 2014.’ U.K. Const. L. Blog (6th February 2014) (available at http://ukconstitutionallaw.org). Very interesting piece. It would be interesting to read a take on how the PCO regime could be further altered by Section 8 of the Transparency and Accountability Bill. This entry was posted on February 6, 2014 by Constitutional Law Group in Judicial review and tagged Criminal Justice and Courts Bill 2014, Judicial Review, Judicial Review: Proposals for Further Reforms, Judicial review; standing; consultation; proposals for reform; empirical evidence; protective cost orders; claimant profiles; defendant profiles, Ministry of Justice Consultation on Judicial Review.